The Coupon Promo report shows all coupons and discounts used within the selected date range, which is shown on the report. Each report type offers two views: the first is a general summary of the information, and the second is a detailed view which breaks down the information into the individual transactions. 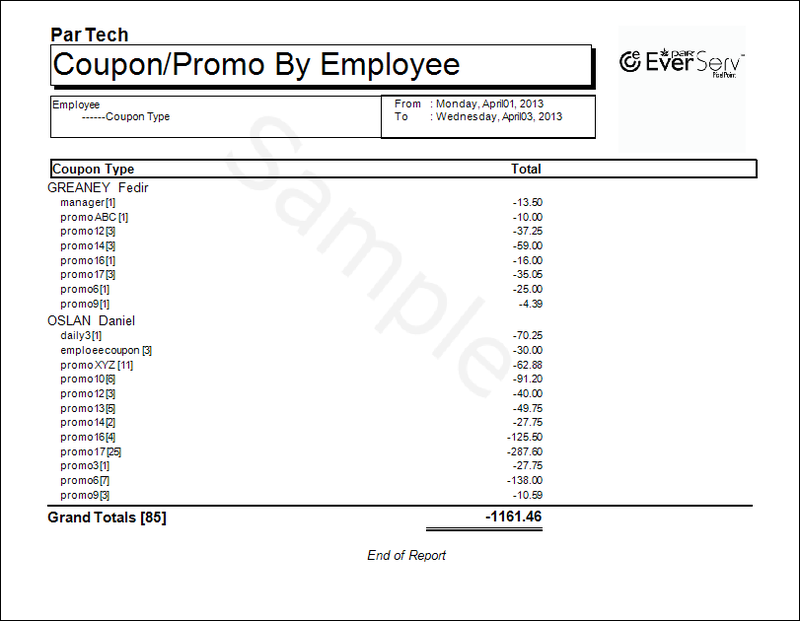 The summary view sorts the coupons and discounts used by the employee who applied the coupon to the transaction. 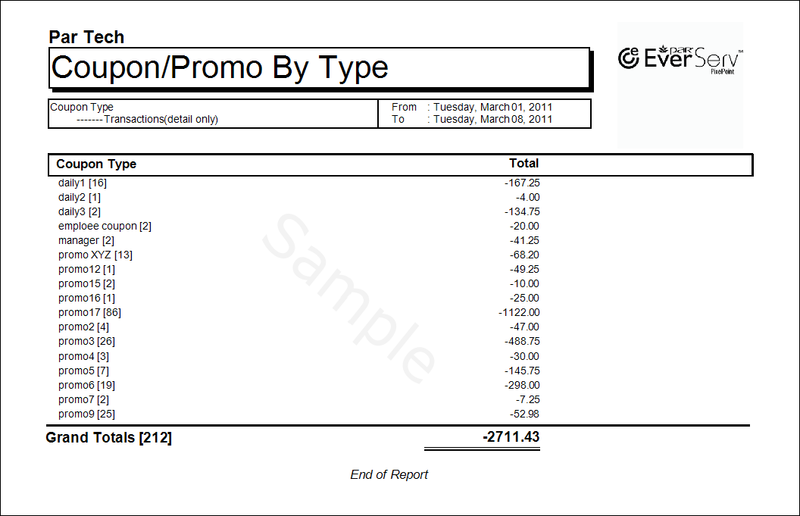 The total value deducted across the selected date range is split by the coupon or promo type, and the grand total of all deductions is displayed at the bottom of the report. Check each individual transaction which used a coupon or promo during the selected dates in the detailed view. All transactions are still sorted by the employee who applied the coupon or promo to the transaction. The transaction number is displayed in the middle column, and the value deducted from each transaction is shown in the right column. The Coupon/Promo By Type summary view displays the different coupons and promos used, as organized by the type of coupon. 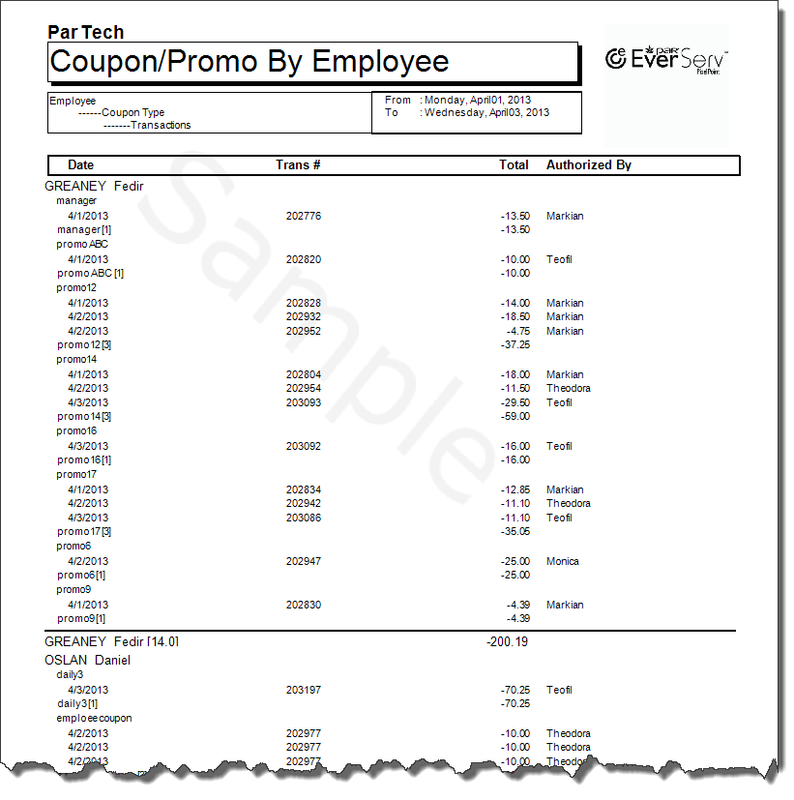 Coupon types are assigned specific names in BackOffice. In this case, the coupons have generic names like ‘daily1′, ‘manager’, and ‘promo9′. The number in square brackets shows how many of that coupon were used across the selected date range. The total value of each coupon type is displayed in the right column. 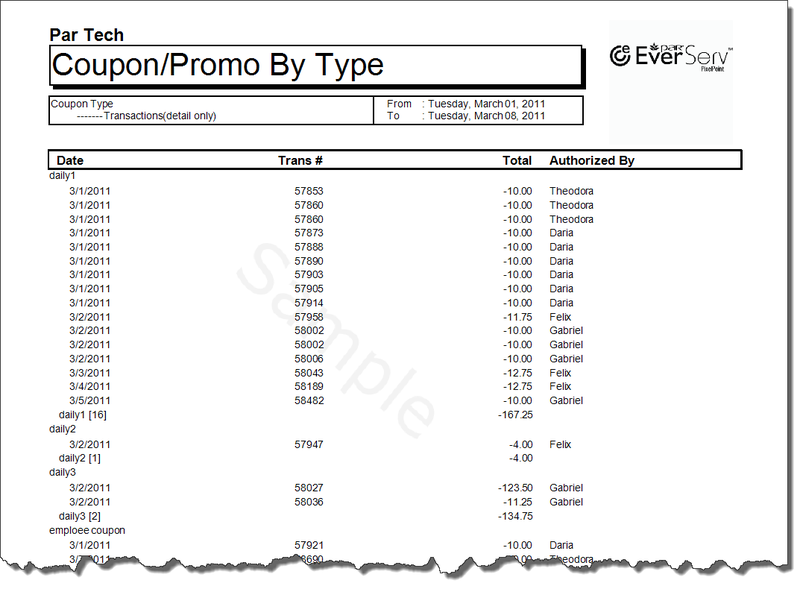 The Coupon/Promo by Type detailed view shows each transaction in which a coupon or promo was used. Sorting by coupon/promo type, this detailed view lists transaction numbers and the value of each deduction on the transaction. Note that more than one promo or coupon can be used on a single transaction.